Gemini Jets Accessory: Set for 1/400 Scale Narrow Body Passenger Airbridges, made of Plastic and Metal, for use with most single narrow body airframes and the Gemini Jets Airport Terminal Building or other model aircraft in the 1/400 scale. (All SOLD SEPERATELY), Fully Moveable Contemporary Passenger Air-Bridges This set includes Six (6) Single units. This product is available beginning in June 2012. 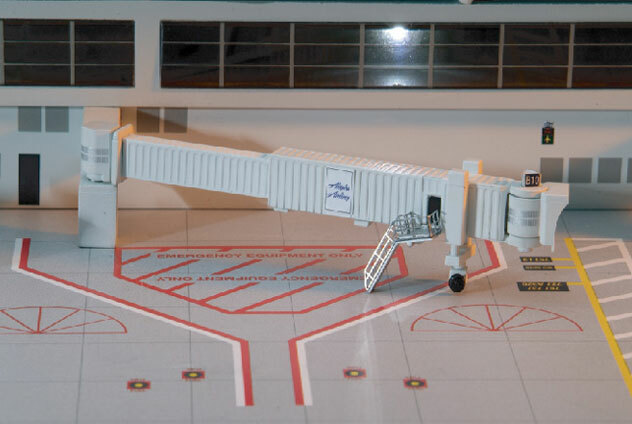 Gemini Jets Accessory: Passenger Airbridges Set for 1/400 Scale, for use with Double Wide Body Airframes, made of Plastic and Metal, Large Wide Body Aricraft and the Gemini Jets Airport Terminal Building or other model aircraft in the 1/400 scale. 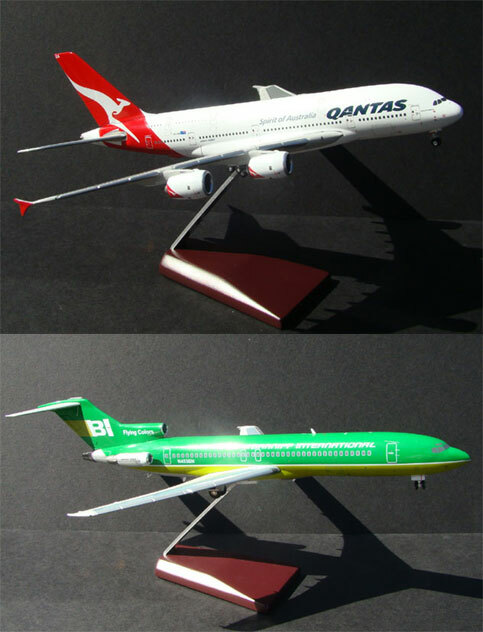 (All SOLD SEPERATELY), Fully Moveable Contemporary Passenger Air-Bridges This set includes Three (3) Single units. This product is available beginning in June 2012. Gemini Jets Accessory: Set for 1/400 Scale Aircraft Maintenance Scaffolding for use with Narrow or Wide Body Aircraft, made of molded (yellow) Plastic for use with all 1/400 scale airframes and the Gemini Jets Airport Hangar Building or other model aircraft. (MODEL SOLD SEPERATELY), This set includes six (6) single units. This product is available beginning in March, 2019. Gemini Jets Accessory: one limited edition set of 1/400 scale Airport GSE’s vehicles, an Airport Accessories Play of set of 14 Pieces of GSE’s (Ground Support Equipment). All in a Generic Navy Blue/White Color Scheme. 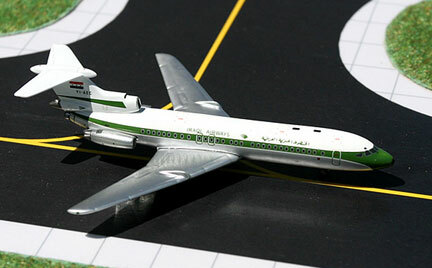 This set can be use individually or with all types of 1/400 scale Airport Diorama Displays. Each set consists of multiple types of modern GSE’s. Included but not limited to multiple loaders, a gasoline tanker, buses, cargo tractor, as well as other service vehicles. Each product in this set is constructed of molded plastic with some metal parts. This product is available beginning in June, 2010. Gemini Jets Accessory: One (1) Double Wide Airport Passenger Terminal Building with Rotunda’s at each end, for use with most 1/400 scale Pre-assembled model dioramas, made of molded resin plastic, featuring twenty-two (22) moveable/adjustable air bridges, also interior and exterior LED lighting, the terminal building together with two Rotunda’s at each have an approximate size of 54” (137cm). (Airport mats, hangars, and accessory vehicles, & aircraft models shown, SOLD separately). This product is made of Realistic Authentic and Highly Detailed Graphics consisting of two sturdy rectangular plastic pieces, capped with an attractive terminal rotunda at each end. This is a Designed based on Contemporary, airports. Featuring sweeping corrugated overhangs and sleek, linear facades. Wrap-around windows with a battery-operated interior and rooftop LED lighting adds realism bringing this terminal to life. Also includes numbered and Airline stickers for end user customization. Totally Enhanced construction of an extended double wide Terminal building. Please NOTE: This product is for use with many applications including the NEW Gemini Jets Airport Mat, as well as other Air Bridge(s), Ground Support Equipment (GSE) and model airliners products in the 1/400 scale. All which are SOLD separately. This product is available beginning in April, 2019. Gemini Jets Accessory: NEW Gemini Jets Double Wide Terminal Airport Mat Set. This (4) four-piece mat set is made of durable Polyurethane Plastic. All Combined measure approximately 78.28 x 54.25 inches Produced for use with the NEW Double Wide Terminal Building (GARPTC), SOLD separately) which will allow the aviation enthusiast to feature and display a Larger collection in a manageable and complete 1/400 scale airport diorama display. Offering the same highly detailed printed graphics, including: a scale runway, taxiways, gate markings and designated terminal space. 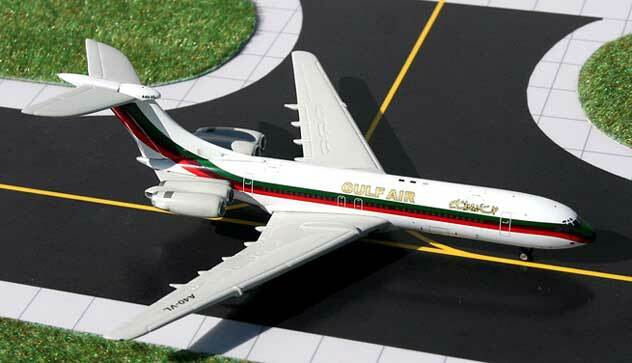 Also features, fully accurate airport signage and taxiway/runway markings. Meets all FAA airport marking requirements, standards. This Diorama Mat Set is also Reversible. 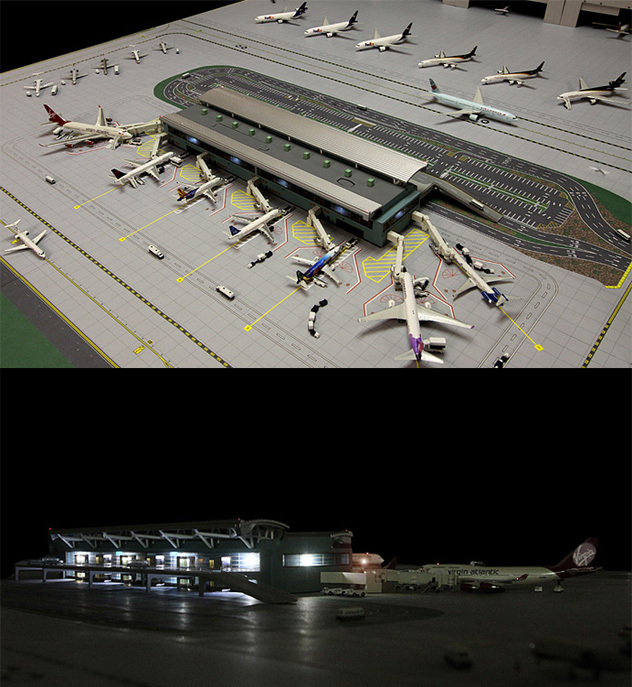 So, you may want to increase your Airport Diorama size or capacity and use TWO (2) of each unit(s). 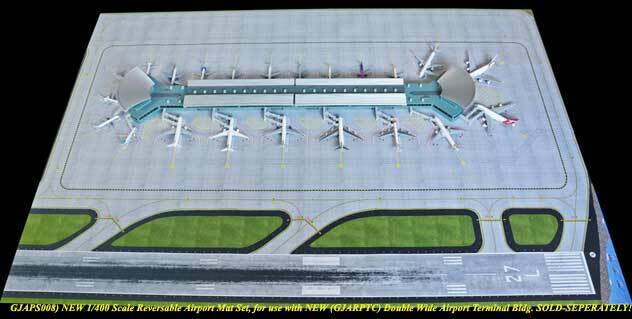 An expensive proposition which will allow you to set side by side and increase your gate capacity from 22 gates and one terminal building to 44 gates and two terminal buildings with two runways. However, you should note that you would require purchase two each of the Terminal building (GJARPTC) and Tarmac set GJAPS008). This product is available beginning in June 2010. Gemini Jets Accessory: one limited edition chrome metal model stands for use with 1/400 scale models. The is a NEW Style STAND (NO Screw) for use with all Gemini Jets Models. Please note, this unit can also be used with some of the narrow body 1/200 scale models. This product does not use a screw for assembly, and as such the product is NOT REFUNDABLE! Gemini Jets Accessory: one limited edition Metal and Wood Model Stand for use with all 1/400 Scale and some narrowed body 1/200 Scale. NEW style for 2018. This unit replaces the OLD Style GJSTD1013 (Wood & Metal stand, which is no longer in production). Suitable for all Gemini Jets 1/400 scale Models, as well, as some narrowed body 1/200 scale. This NEW Gemini Jets stand may also be used with some other brand(s) narrowed body 1/200 and 1/400 Scale Models. This is a collectable model, not suitable for children under the age of 14 years. This product was first released in December, 2018. Please note, this unit may also be used with some of the narrow body 1/200 scale models. This product uses a screw, some assembly is required, and as such if Opened, this product is NOT REFUNDABLE! Gemini Jets Accessory: Gemini Jets Airport Diorama Mat Set. 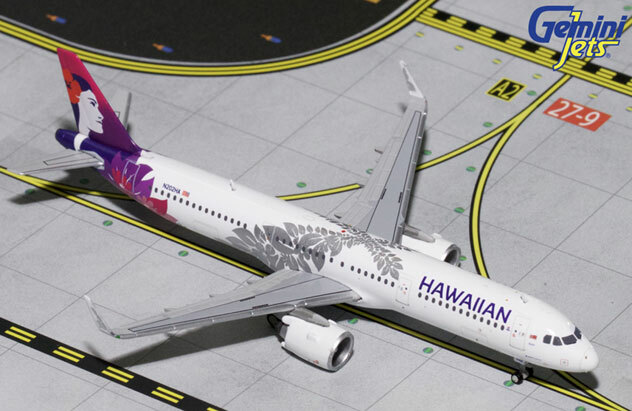 This mat set Combined with the Single Terminal Building (GJAPS005B, SOLD separately) features a more manageable and complete airport diorama display in a 1/400 scale. Offering the same highly detailed printed graphics, including: a scale runway, taxiways, parking areas, access roads, etc. 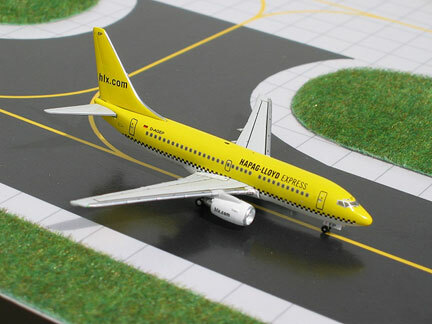 Also features, fully accurate airport signage and taxiway/runway markings. Meets all FAA airport marking requirements, standards. 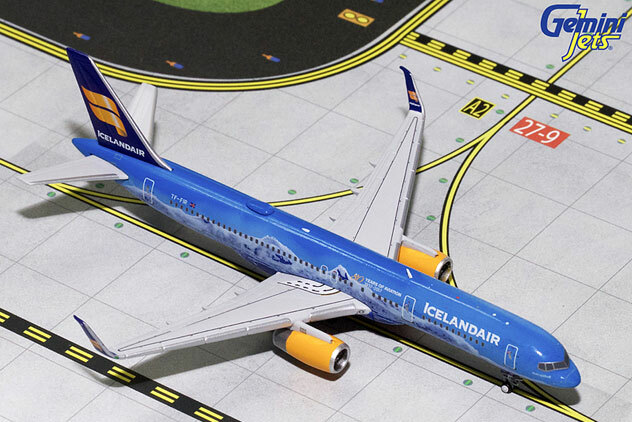 This Diorama Mat Set is also Reversible on opposite side for use with 1/200 scale, However, it’s design provides only Tarmac, Taxiways and a shorter Runway. Additional features include a full-scale multi-level arrivals and departures landslide area with elevated roadway and car park. Surrounding the car park area is a full-service airport access roadway system. Dimensions of this new assembly are approximately 39¼ x 54½ inches. This product is available beginning in June 2010. Gemini Jets Accesory: One (1) Single Airport Passenger Terminal Building, for use with most 1/400 scale model dioramas, made of molded resin plastic, featuring seven (7) moveable/adjustable air bridges, also interior and exterior LED lighting. (Airport mats, hangars, and accessory vehicles, & aircraft models shown, SOLD separately). This product is made of Realistic Authentic and Highly Detailed Graphics in Resin Plastic. A Contemporary, Multi-level Architecturally Enhanced construction of a Single Terminal building. Please NOTE: this product is for use with many applications including other Gemini Jets Airport Mats and Air Bridge products, SOLD separately . This product is available beginning in June 2010. 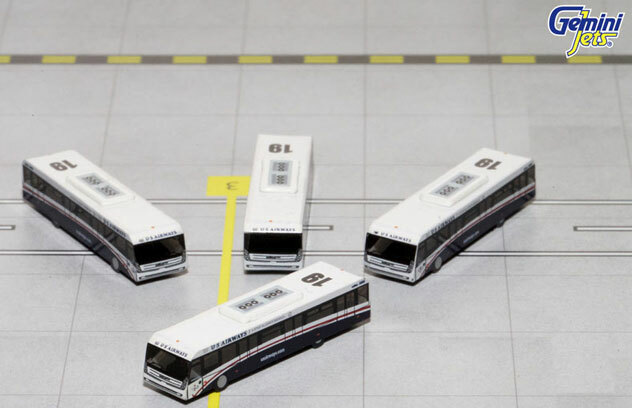 Gemini Jets Accessories: one limited edition Set of Airport GSE vehicles, Airport Service Buses Set of four (4) in a 1/400th scale of Corporate or Company Buses in the US Airways Standard Color Scheme. Each sets consist of four (4) each Large Buses. Each product in this set is constructed of molded plastic with some metal parts. This product is available beginning in January, 2016. 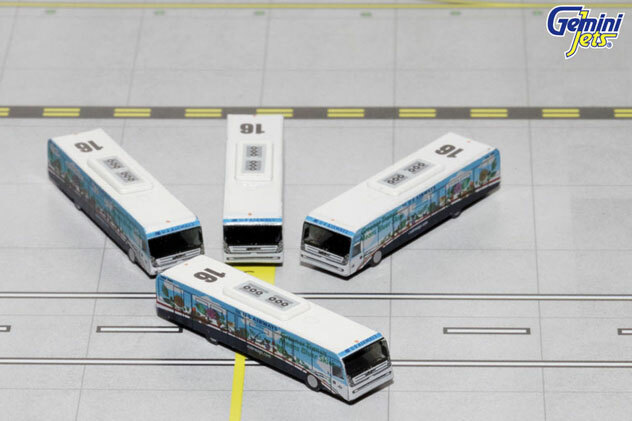 Gemini Jets Accessories: one limited edition Set of Airport GSE vehicles, Airport Service Buses Set of four (4) in a 1/400th scale of Corporate or Company Buses in the US Airways Special Greener Color Scheme. Each sets consist of four (4) each Large Buses. Each product in this set is constructed of molded plastic with some metal parts. This product is available beginning in January, 2016. Gemini Jets Accessory: one limited edition Metal and Wood Model Stand for use with 1/400 Scale and Some 1/200 Scale. Applicable for all Gemini Jets Models. May also be used with some JETXL as well as Aviation 1/200 and 1/400 Scale Models. Gemini Jets Wood Base Display Stand. This product was released in November, 2012. Please note, this unit may also be used with some of the narrow body 1/200 scale models. This product uses a screw, some assembly is required, and as such if Opened, this product is NOT REFUNDABLE!. Gemini Jets Accessories: one limited edition collectible, molded of hard resin (plastic) model, in a 1/400th scale of a Wide-Body aircraft Hangar capable of housing one B747 or A380 sized aircraft, or multiple narrow-body types airframes like (B737's, B757's or A320's, etc.). This product is an accessory use with any Airport Dioramas in the 1/400 scale. PLEASE NOTE: Due to the weight and size, this product will usually ship separately. This unit is constructed of heavy duty resin plastic already assembled. Can be This product was released in February, 2010. Gemini Jets Model: one limited edition, collectible die cast airliner model in 1/400 scale. All construction is made of metal, of an Vickers Standard VC-10-1102 in the Ghana Airways Last Colors. Airframe Registration, 9G-ABO. This models is available as January, 2008. Gemini Jets Models: one limited edition collectible, die cast airliner model, in a 1/400th scale of a Vickers Standard VC-10 in the Gulf Air Airlines 1980’s Colors Scheme. Airframe Registration A40-VI. The model is constructed of metal with some plastic parts. This product was released in April, 2007. Gemini Jets Model: one limited edition, collectible die cast airliner model in 1/400 scale. All construction is made of metal, of an Boeing B737-700 in the Hapag Lloyd Express current Colors. Gemini Jets Models: one limited edition collectable, die-cast metal airliner model in a 1/400th scale of an Airbus A321-271Neo in the Hawaiian Air NEW 2017s Colors Scheme. Airframe Registration N202HA. This model is constructed of die-cast metal with some plastic parts. This product is available beginning in January 2018. Gemini Jets Models: one limited edition collectible, die cast airliner model, in a 1/400th scale of a Boeing B757-256/S in the Icelandair Airlines Special 80th Anniversary Colors Scheme. With titles Vatnajoekull. Airframe Registration TF-FIR. The model is constructed of metal with some plastic parts. This product was released in July, 2018. Gemini Jets Models: one limited edition collectable, die-cast metal airliner model in a 1/400th scale of an Airbus A320-214/S in the InterJet Airlines Current Scheme. Airframe Registration XA-FUA. This model is constructed of die-cast metal with some plastic parts. This product is available beginning in September 2016. 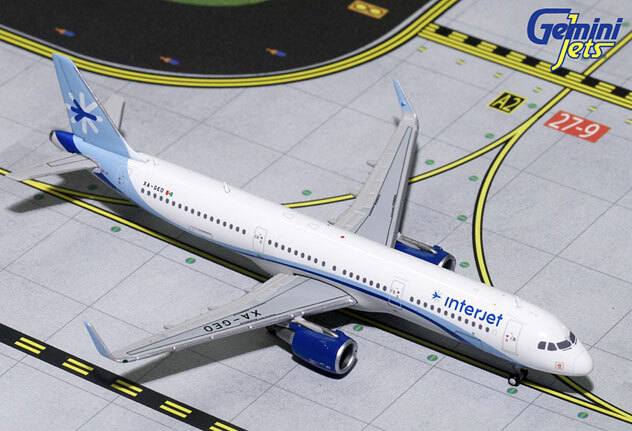 Gemini Jets Models: one limited edition collectable, die-cast metal airliner model in a 1/400th scale of an Airbus A321-211 in the InterJet Airlines Current Colors Scheme. Airframe XA-GEO. This model is constructed of die-cast metal with some plastic parts. This product is available beginning in February 2018. Gemini Jets Model: one limited edition, collectible die cast airliner model in 1/400 scale. All construction is made of metal, of an Hawker Siddeley Trident 1E in the Iraqi Airways Old Colors. Airframe Registration, YI-AEC. This models is available as November, 2007. 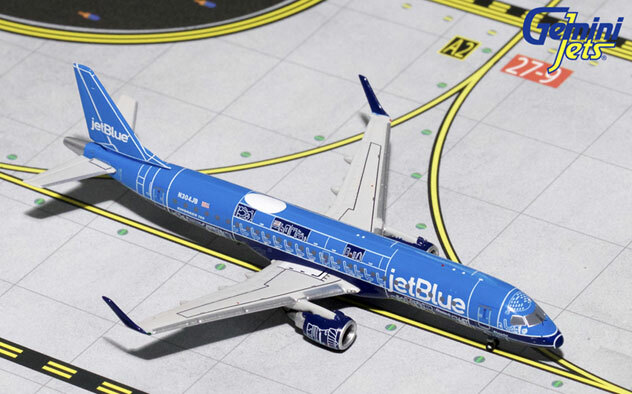 Gemini Jets Models: one limited edition collectable, die-cast metal airliner model in a 1/400th scale of a Embraer ERJ-190/AR in the JetBlue Airways NEW Blue Print Colors Scheme. Airframe Registration N304JB. This model is constructed of die-cast metal with some plastic parts. This product is available beginning in August 2017. 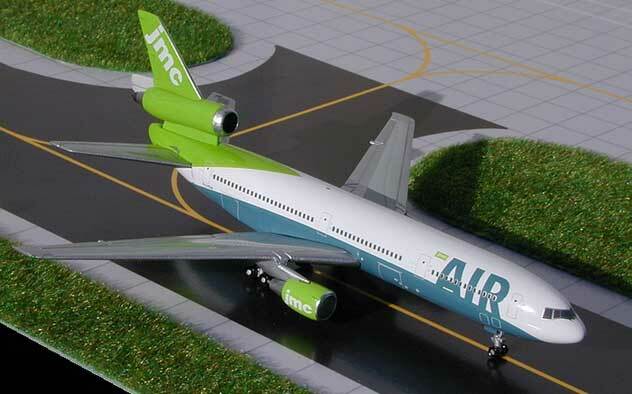 Gemini Jets Models: one limited edition collectible, die cast airliner model, in a 1/400th scale of a McDonnell Douglas DC-10-30 in the JMC Airlines Old 2000’s Colors Scheme. Airframe Registration G-LYON. The model is constructed of metal with some plastic parts. This product was released in February, 2003. 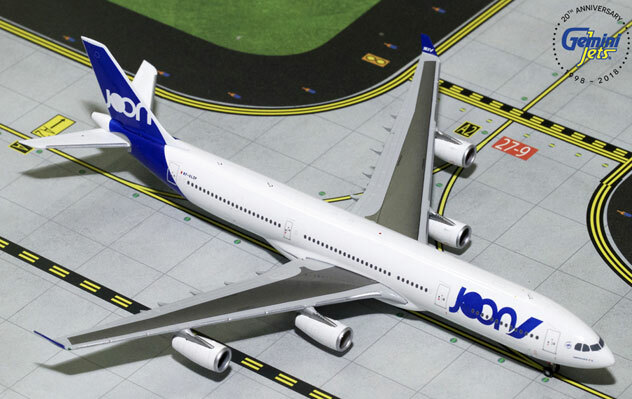 Gemini Jets Model: one limited edition collectible, die cast airliner model, in a 1/400th scale of an Airbus A340-313 in the Joon Airlines Current 2018’s Colors Scheme. Airframe Registration F-GLZN. The model is constructed of metal with some plastic parts. This product was released in September, 2018.